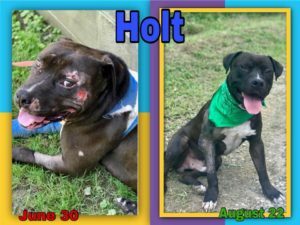 Holt before and after – A Reason to Believe Animal Rescue, Inc. Previous Post ARTBAR desperately needs foster homes for dogs! Next Post The ARTBAR coffers are almost empty!